With the weather changing and the rain coming back, we are starting to get in the mood for Fall shoes. After a couple of seasons of black and gray, it’s nice to see some rich shades of brown in the shop like tan/camel, russet, and dark chocolate. 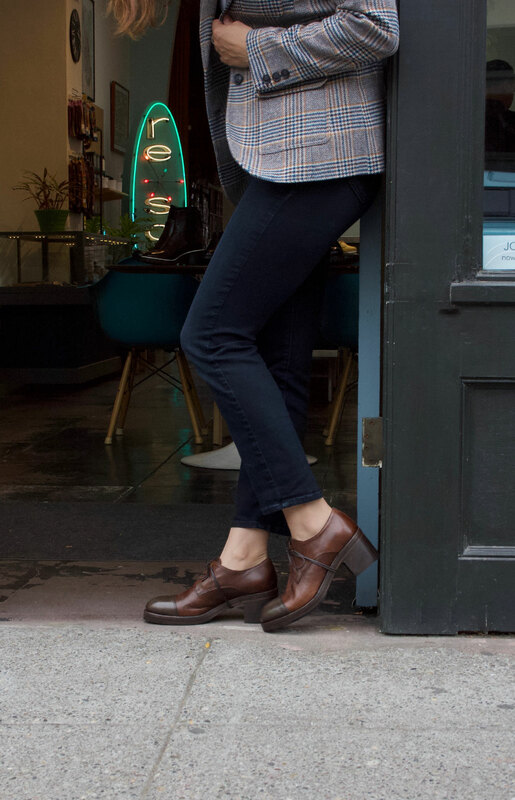 Our re-souL clog “Tilda” is the perfect light color brown for transitioning into Fall. We would wear these with denim and our favorite skirts and dresses. When it gets a bit cooler we would wear these with some fun patterned socks. We love the richness of this russet brown boot by P.Monjo. A brown shade with a hint of red, we would wear these boots with our favorite cable tights and midi-skirts. This color is also very complimentary to navy, burgundy and burnt orange. Dark chocolate brown is a versatile shade that can be worn with navy, gray and taupe. These Chelsea boots by MOMA are a basic style that would go with most anything in your wardrobe. If you love the color brown, check out more styles on our webshop at resoul.com.